Kerry Washington, Dakota Fanning and more went with very *upfront* red and pink dresses. From Gucci to Fausto Puglisi. 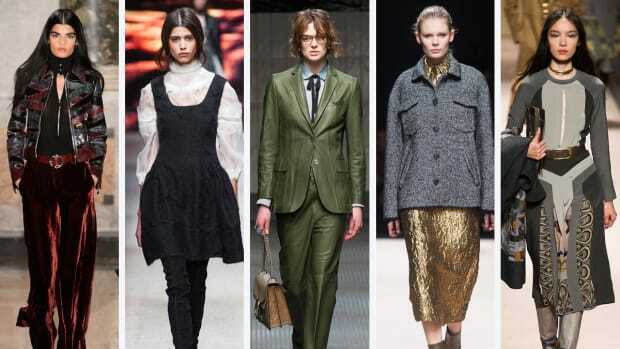 Including very different takes on eveningwear by Gucci, Alberta Ferretti and Cavalli. All custom looks from Karl Lagerfeld, Taylor Swift's costume designer and more. The whole industry is coming down with Cali fever. 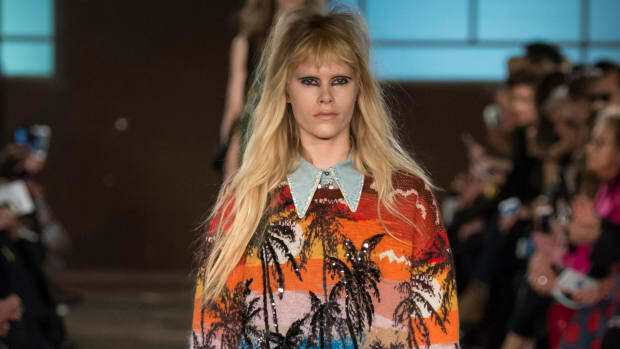 The shows are off to a strong start, thanks to Gucci, Alberta Ferretti, No.21 and more. Lots of romance right out of the gate. Adhering to a "Chinese white tie" dress code is no easy task, but these style stars made it work. Fall 2015 is not a season for subtle accessories. 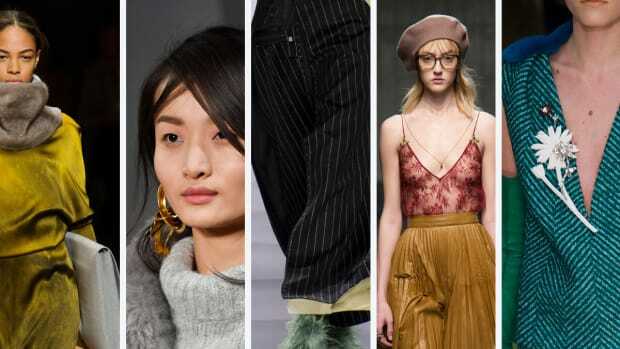 From fur shoes to metallic skirts, these were the themes we saw again and again at Milan Fashion Week. 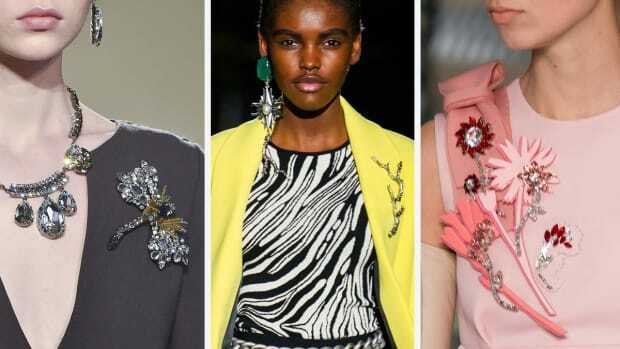 'Vogue' has been trying to bring back brooches for years, and designers in Milan are jumping in wholeheartedly. They don't even include the unreal pizza I ate for lunch, you guys. Rock royalty and legit nobility walked the runway to help the Ebola crisis. It's not easy being a young designer in Milan, but some designers are starting to get the recognition -- and show space -- they sorely need. 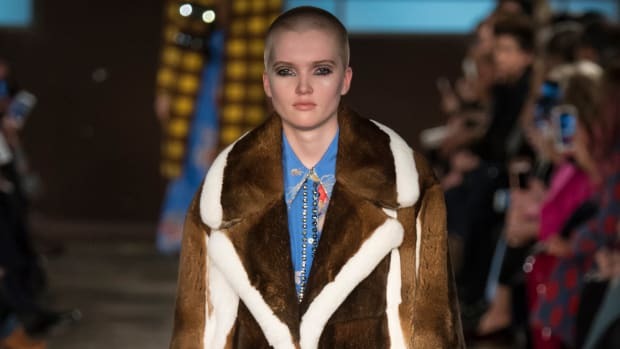 No.21 does ornate grunge and Fausto Puglisi makes his presence known. All the fashion news you missed this week. Plus: Asymmetrical man thongs! Kiernan is legit killing us with cuteness. Put Lupita Nyong'o in a tropical locale and you know she's going to wear something awesome. Established luxury houses aren't the only ones making great dresses these days. In the film "The Devil Wears Prada," there is a montage of runway images when the protagonist, Andrea, first arrives in Paris for Fashion Week, and it seems ineffably glamourous. 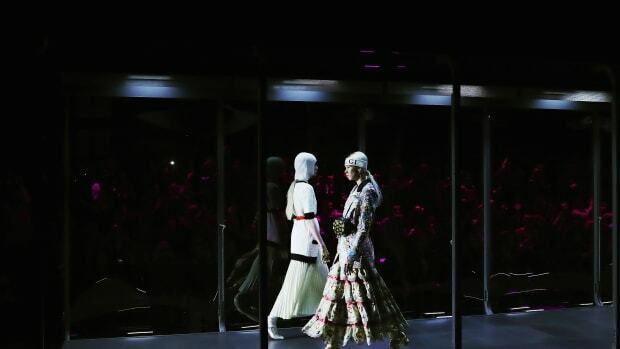 As a first-timer, Milan Fashion Week feels like that.